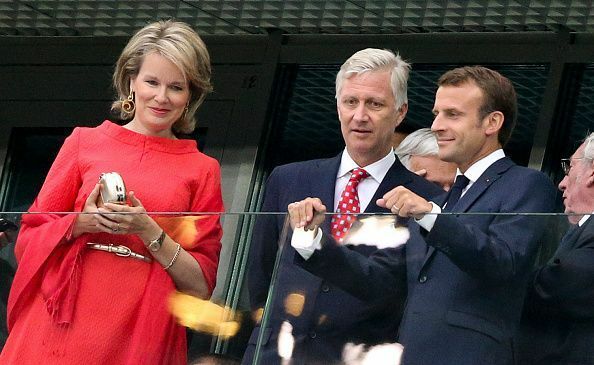 French President Macron and the Belgian king exchanging pleasantries during the France v. Belgium semi-final. FIFA World Cup- the greatest sporting event on earth with a cumulative audience amounting to 1/3rd of the world's population. An event adored by billions of football followers around the globe. An event graced by numerous dignitaries and the heads of state of the participating nations. Such is the stature of this event, that the stakes attached to this event are not limited to competitive football but take a political colour as well. For a world that is torn apart by its differences football is a game that galvanizes it, however, at the biggest stage, it's often unable to hide the political tensions that simmer through our real world. The world cup bid won by Russia itself was marred by accusations of use of muscle power by President Putin by the western world. The world’s cup of joy did not have an immaculate build, bearing the brunt of the fall-out of diplomatic relations between Russia and Britain. As a repercussion to the March 2018 poisoning of Russian former double agent and his daughter, Britain announced that no British ministers or members of the royal family would attend the World Cup, and issued a warning to any travelling England fans. Iceland also diplomatically boycotted the World Cup. Football is intricately related with the lives of billions of people across the globe. It is not merely a sport but a way of life, an instrument to usher peace and prosperity in the war-ravaged regions of eastern Europe. The uneasy peace in the region still simmers with old scars of bloody conflict that seldom find it's utterance on the football's greatest show. These off-field incidents are an inevitable reminder of how deep football percolates within the daily lives of people. We have always had differences, but there’s one thing we all agree on i.e our passion for this beautiful game. The leaders of these warring nations might it hard to negotiate terms on a bilateral summit but are seen as happy and amiable beside a football pitch. This positive energy that breeds through the sport of football can give this world a hope of peaceful co-existence. A hope that one sport can transcend the boundaries of race, ethnicity and polities. Though this World Cup has been one of the smoothest with no crowd trouble and heart-warming stories of warm welcome from ordinary citizens of Russia, here we highlight the off-field incidents that attracted needless eyeballs. 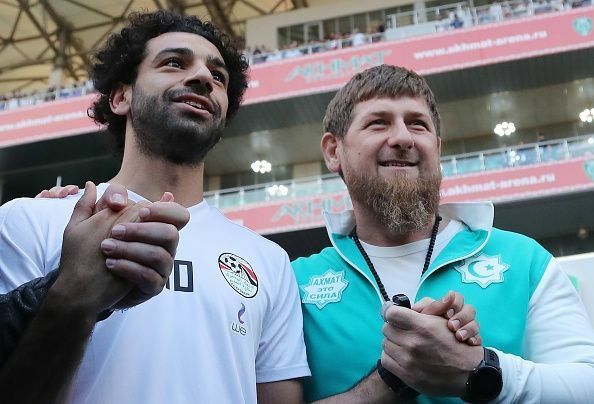 Even before he had his first touch in the World Cup, Egyptian star Mo Salah courted controversy after being pictured with the Chechen leader Ramzan Kadyrov at Egypt’s World Cup training base in Grozny on 10th June. Chechnya is a predominantly Muslim region in southern Russia marred by wars between the separatists and Russian forces. In the past Chechen rebels have been involved in terrorist activities and attacks on public places in Russia. Kadyrov is a former rebel who switched his loyalties to Moscow and faces accusations of gross human rights violations, extra-judicial ****ings and Gay Rights violations. Ramzan Kadyrov is said to have taken advantage of the Liverpool forward’s short stay in Russia’s most controversial republic for spreading his propaganda. He even accorded him with an honorary citizenship in Chechnya. The Egyptian FA was already criticized for choosing their World Cup base in Grozny the capital of Chechnya. Mo Salah is certainly not naive enough to comprehend that he was used as a political tool. Now, the Internationally-recognized Mohamed Salah has some tough questions to answer raised by Gay rights and Human Rights Activists. Even before the first kick of the Switzerland v. Serbia match in Group E, the shadow of Kosovo loomed large over the game. Switzerland team had at least three players from the Kosovar-Albanian heritage playing in the match against Serbia. 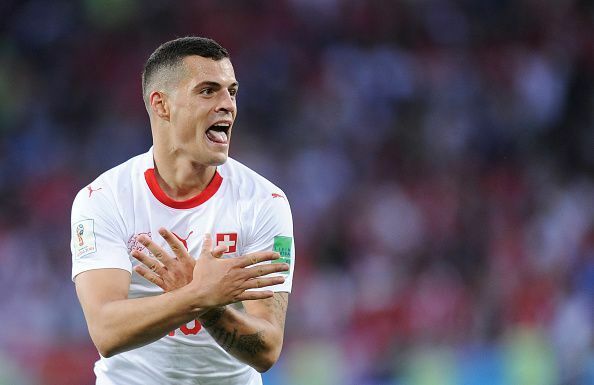 Swiss players Xherdan Shaqiri and Granit Xhaka celebrated their respective injury-time winning goal and the equalizing goal against Serbia in the group stage by folding their hands into the form of the Albanian nationalist symbol the Eagle. The pair, both of Kosovar-Albanian heritage have a history of bad-blood with Serbia and the former Yugoslav republic. The breaking of the former Yugoslav republic led to the prosecution of many people of Kosovar-Albanian origin and simultaneous casualties for the nationalist Serbs in the years of bloody conflict that followed. Kosovo asserted independence from Serbia a decade back in 2008 with the help of Albanians but Serbia till date refuses to recognize it. Xhaka's father was imprisoned in the former Yugoslavia by the nationalist Serbs after protesting for Kosovan independence. Xhaka was born and raised in Switzerland after his father left his homeland following imprisonment and torture, while Shaqiri was less than a year old when his family fled persecution. Both players still have a deep connection with their native place. Granit Xhaka's elder brother Taulant Xhaka plays for the Albanian national team. The brothers were pitched against each-other in Euro 2016 when Switzerland faced Albania. Shaqiri holds a Kosovan passport and there were rumours that he was considering to play for Kosovo after it was recognized by UEFA. Shaqiri invited the wrath of the Serbs by wearing boots emblazoned with the flags of both Switzerland and his native land Kosovo. Serbia v. Switzerland was a game bound to be marred by history and politics and the celebrations turned out to be an act of political defiance. The duo was fined by FIFA for their celebrations being a provocative gesture but escaped a two-match ban. Croatian defender Domagoj Vida was seen shouting "Glory to Ukraine" after Croatia beat Russia on penalties to progress to the semi-finals. The Besiktas defender scored an extra-time goal that put Croatia forward in their quarterfinal against Russia. However, it was neutralized by a sensational equalizer taking the game to penalties. 'Glory to Ukraine' is a phrase used by politicians who disagree with Russia's foreign policy of annexation of the Russian dominated Crimea region of Ukraine. Vida, who used to play in Ukraine for Dynamo Kiev, allegedly adds 'Belgrade burn' in the second video clip mocking his arch rivals "Serbia" and their cosy relationship with Russia. The former Dynamo Kiev player’s actions were widely perceived as anti-Russian, prompting the host nation’s fans to greet the player with boos every time he touched the ball in the semi-final against England. According to FIFA's disciplinary code, any use of political slogans is strictly prohibited. Vida apologised, later on, saying the video was just a joke. He might have been cleared by FIFA to play the semi-final but has invited the ire and hostility of the host nation and its spectators. Coach Ognjen Vukojevic seen alongside Vida in the controversial video was sacked and sent home by the Croatian FA. Novak Djokovic with the members of the Croatian national team in March. 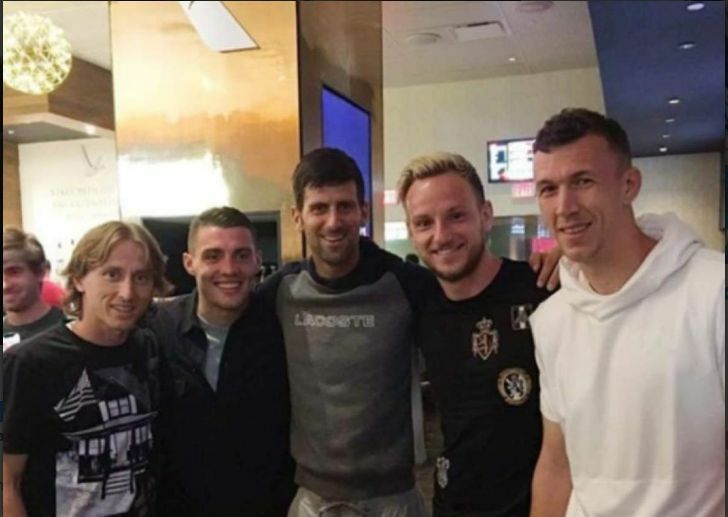 Djokovic had met the members of Croatian national team in March when he was in Florida training and recuperating from his injury. The 12-time grand slam winner in his defence said: 'Sports have their 'universal language,' they erase boundaries between people, overcome differences in religion, race and nationality." Given that Novak Djokovic was heckled by the English fans in his 3rd round Wimbledon match against the local favourite Kyle Edmund, it is no surprise then that he decided to back the Croatians against the English. Wimbledon organizers already had their issues with the timing of the final of the FIFA World Cup clashing with the Wimbledon men's final on Sunday. Adding on to that, one of the Wimbledon's former champions Novak Djokovic was dragged into another needless controversy. Serbian tennis star Novak Djokovic triggered controversy at home after he announced that he would be supporting Croatian football team as they enter the final stretches of the World Cup in Russia. The two neighbouring and former Yugoslav nations have had tense relations since Croatia won its independence in 1995 following a bloody conflict. Croatia is a NATO ally while Serbia has seen cosy relations with Russia. The relationship between the nations has been marred by mutual accusations of war crimes and an intense sports rivalry. "Only idiots can support Croatia. Aren't you ashamed Novak?" tweeted a politician Vladimir Djukanovic, a member of President Aleksander Vucic’s Serbian Progressive Party.